Having a garage door that opens and closes reliably is important whether you’re a Rockwall homeowner or a business owner. 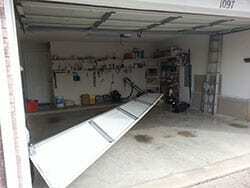 When your garage door starts acting up, you can rely on the professional technicians at Action Garage Door to fix it. We have parts available for all makes and models, so you can rest assured that we’ll get your garage door working in no time. We offer highly competitive prices that won’t hurt your budget, as well as around-the-clock repair services for emergencies and trained technicians who can handle any garage door problem. Give us a call to learn more about our services in Rockwall. Our experienced garage door repair professionals are here to help with any garage door issues you are experiencing. It’s no wonder why Rockwall residents and business owners have turned to us since 1984 for garage door repair. 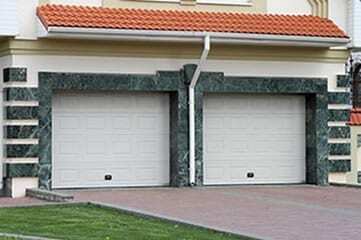 Keeping your garage door running safely is important for any home or business. Our goal here at Action Garage Door is to provide a repair service that is there for you where you need it and when you need it. 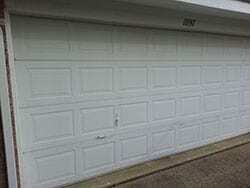 Give us a call today for your garage door repair needs. We strive to solve all your garage door needs with just one company. We go way beyond simple repairs. We can provide you custom commercial and residential installation, garage door opener installation or repair, repair for malfunctioning rollers, cables, and springs, and much more. Give us a call today for a full list of all the services we can provide. When you have a garage door that has seen better days, the installation experts at Action Garage Door can set you up with a new one. Our company offers a wide range of garage door models to consider, including Designer Choice, Olympus, Oak Summit and Heritage. No matter what style or design you have in mind, we can help you find the right residential or commercial garage door in Rockwall. 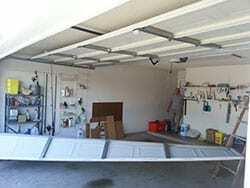 Our experts will then install your brand new garage door, which comes with the best warranty in the business. 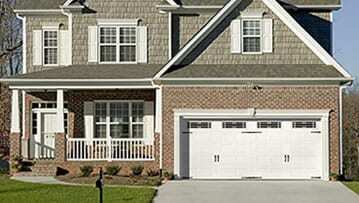 Ready to start selecting a garage door? Call us for a free in-home estimate today. Rockwall, TX sits just across Lake Ray Hubbard from downtown Dallas. The city, which has a population of roughly 37,490, is about 25 miles east of Dallas and about 56 miles east of Fort Worth. Rockwall was named for an unusual geological formation that resembles a wall. Residents in Rockwall have an average income per capita of $34,789 and an average household income of $86,627. Some of the main employers in the city are Rockwall Independent School District, Presbyterian Hospital, Wal-Mart Superstore and Texas Star Express. Rockwall has a cost of living that is higher than the national average and the average cost of living in Texas, but it makes up for it with low crime rates and top-rated schools. The average cost of homes in Rockwall is $188,500, which is slightly higher than the U.S. average of $175,700 and the state average of $131,400. Rockwall offers an impressive range of activities and amenities for residents, which has resulted in a steady population growth in recent years. The city’s location makes it an easy drive to Dallas and a great place to take in views of Lake Ray Hubbard. Rockwall also hosts a number of free special events that give residents a chance to meet other residents and get to know more about the community. These events include Family Fun Fridays, Easter Egg Hunt, Concert by the Lake, Founders Day Festival, July 4th Fireworks Show, Halloween Extravaganza and more. Adults and kids can also become more involved in the community by signing up for recreational classes, such as square dancing, painting and athletics. Rockwall features a wide range of sites to see and things to do for visitors who come to this part of the DFW Metroplex. From the arts to outdoor recreation, guests in Rockwall can depend on having a number of options to choose from when planning their trip. Visitors with a love for the arts can enjoy live musical and theatrical performances or view works of art thanks to the Rockwall County Arts Alliance. This nonprofit organization hosts several events during the year in celebration of the arts. Visitors can hear the Rockwall Children’s Chorus sing or listen to a concert put on by Rockwall Philharmonic Orchestra. Guests can also see Rockwall summer musicals or watch plays at Rockwall Community Playhouse. Those who want a combination of beautiful views and great shopping and dining can spend time at The Harbor. This venue features restaurants, stores and more while also giving visitors a good opportunity to see impressive sunsets and take in scenic water views. 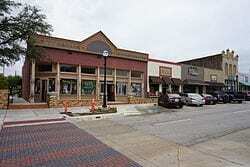 The city’s historic downtown area also has several dining establishments and shops for visitors to enjoy. Visitors who prefer being outside while staying in Rockwall can head over to Harry Myers Park to play a round or two of disc golf. The park features an 18-hole course that is suitable for players of all levels, as well as a splash pad for staying cool, walking trails to explore, playgrounds for kids to burn off energy and three ponds. Phelps Lake Park provides plenty of outdoor recreation opportunities, including kayaking and fishing. Visitors can catch largemouth bass, sunfish and more in the waters of Phelps Lake, or glide over the surface in a kayak. 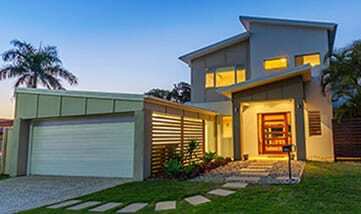 When it comes to customer satisfaction, nobody beats Action Garage Door. We are a family-owned business that values its customers like no one else. Our customers are our neighbors, and we treat you like family. Whether it’s garage door repair or installation, we are only a phone call away. Prompt arrival, quick work replacing the springs, adjusted the openner and very courteous. We had great service and our service person worked tirelessly to ensure that all the components were functioning correctly. He was very cordial and polite and did all that he could do to make our experience great. We will highly recommend your services to anyone who asks for a recommendation. David showed at designated time--very knowledgeable and efficient tech. If you need to send top guy he would be the one. Ralph did good work and was also awesome. Ralph was so knowledgeable, straight forward, and overall nice guy. Ralph was wonderful, very hard-working! Garage Door Repair, Installed 2 New Springs, End Bearings, Cables and Rollers as well as Applied a Door Tune up! 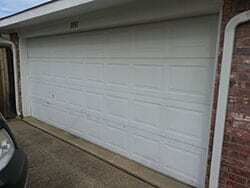 Garage Door Repair, Installed New Jamb Bracket and Rollers as well as Applied a Door Tune up!,.